Direction and chair of thesis. García Pino, Fernando. “Multiple fold. Finn embassy in New Delhi. Raili and Reima Pietilä”. E.T.S.A.Madrid. 2015.
del Pozo Sánchez, Cristina. “European convention on landscape. A methodological proposal for implementation in the urbanistic field.” Co-direction with José María Ezquiaga Domínguez. E.T.S.A.Madrid. 2014. Elvira, Juan. “Ghost architecture. Space and production of environmental effects.” E.T.S.A.Madrid. 2014. Gómez Escocha, Eulalia. “Commerce, city and landscapes at ground level.” Chaired by Joan Busquets. E.T.S.A.Barcelona. 2015. Beltrán Rodríguez, María. “Vitality in public space.” Directed by Mayka García Hípola and chaired by Blanca Lléo. CEU San Pablo University. 2015. Garriga, Queralt. “Showroom Architecture. Trascending the classic paradigm.” Directed by Cristina Jover. E.T.S.A.Barcelona. 2015. Alarcón, Luisa. “The architectural project as an investigation: the Jewish’ stream.” Directed by Curro Montero and chaired by Víctor Pérez Escolano. University of Sevilla. 2015. Gil Guinea, Luis. “Intermediate places. 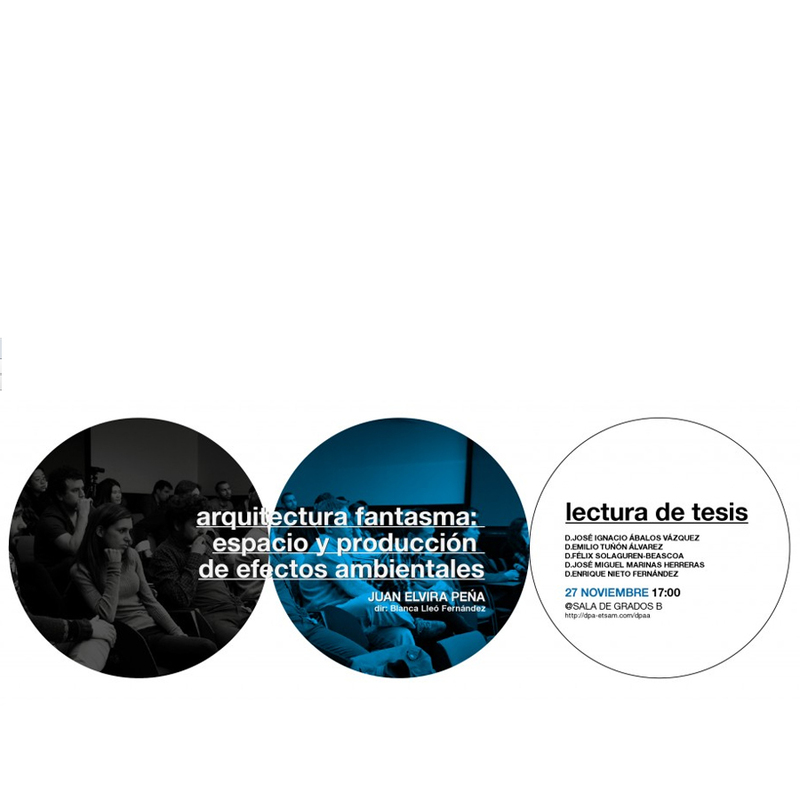 The philosophy of threshold in TEAM X’s architecture.” Chaired by Blanca Lleó. E.T.S.A.Madrid. 2015. Arnedo Calvo, Elena. “Repetitive and modular patterns in Spanish Architecture from 1950.” Chaired by Blanca Lleó. E.T.S.A.Madrid. 2015. Rodríguez Cedillo, Carmelo. “Archaeology of the future”. Chaired by Blanca Lleó. 2015. Inicio > Academic > Teaching > Direction and chair of thesis.